monster movie | No Chic. Just Geek. Before we go any further: Ishiro Honda’s 1964 movie Ghidorah, the Three-Headed Monster is one of those which exists in various different versions depending on which country you’re in – the changes extend as far as certain plot elements (mostly ones communicated by the dialogue, which is of course dubbed for the English-language release), but there is also the question of the title, which is given on screen as Ghidrah (etc). As any fule kno, the three-headed monster spells his name with an O near the middle of it, and the title card therefore contains a blatant typo which I will be ignoring. 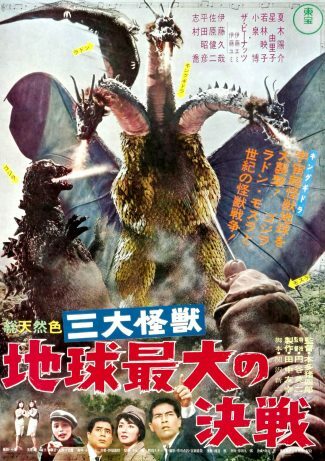 So, Ghidorah, the Three-Headed Monster it shall be. The movie may be short on vowels but it’s certainly not lacking in plot, or outrageous coincidences. Things get under way at a meeting of the Flying Saucer People, which is also attended by perky young journalist Naoko (Yuriko Hoshi). The assembled goofballs mostly spout gibberish but also give ominous warnings of impending disaster, pointing out the unseasonal heatwave afflicting Japan. Actual flying saucers do not turn up (this being a mid-60s Toho monster movie, this is probably something of a surprise), but a shower of meteorites does fall to Earth. It just so happens that in charge of the scientific expedition that hikes off to examine the largest of the fallen meteorites is Naoko’s friend and possible suitor (things are never allowed to get particularly soppy in these movies), Professor Murai (Hiroshi Koizumi). Murai is startled by the size of the rock, and also the weird electromagnetic anomalies that periodically manifest around it. 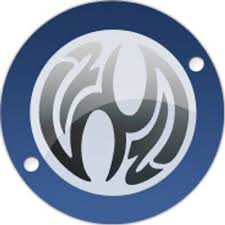 Also relevant to the story is Naoko’s brother, police detective Shindo (Yosuke Natsuki), who is given the important but strangely under-resourced job of protecting Princess Selina (Akiko Wakabayashi), heir apparent to the remote Himalayan kingdom of Selgina. The cultural distinctiveness of the Selginan people is amply established by the fact that the ruff remains an important part of their national dress, to the point where they resemble an entire country of birds who’ve swallowed plates. It seems that the former king has recently been assassinated in a communist plot, and the killers now have Selina in their sights. Chief assassin Malmess (Hisaya Ito) signifies his evilness by always wearing sinister dark glasses, which is an odd combination when paired with his ruff. But I digress. The assassins succeed in blowing up Selina’s plane (bits of charred neckwear flutter down over many square miles), little suspecting she jumped out at the last minute, guided by a disembodied voice. Soon enough she resurfaces as a mysterious prophet, claiming to come from Venus (or Mars, depending on which version you’re watching), with no memory of her former terrestrial life. As you can see, there’s a lot going on, but not much sign of any monsters so far. This changes (sort of) when Shindo and Naoko pause to watch TV, settling on what seems to be a sort of 60s Japanese version of the Michael MacIntyre show (God knows why). Making an appearance, for no adequately explained reason, are the Shobijin fairies, who provide an update on what Mothra’s been up to (in short, not much: just lying around being worshipped by the natives of his island – Mothra is male in this movie). The plot does start to pick up pace now, as Selina the prophetess’ various predictions of disaster start to come true: tourists at the volcano Mount Aso are alarmed by the emergence of the giant pterodactyl Rodan, who has been hibernating in the crater, while her prophecy of doom for one particular ship comes to pass when Godzilla surfaces and nukes it. Unfortunately the only people who seem to pay her any attention are the Shobijin, who were due to go back to Infant Island on that ship and wisely changed their travel arrangements. Worst of all, the meteorite cracks open and disgorges a golden, three-headed dragon, which Selina announces is called Ghidorah. It appears that, thousands of years before, Ghidorah devastated the ancient and advanced civilisation of Venus (or Mars), and Selina has actually been possessed by the spirit of one of the survivors who fled to Earth (the English dub, at least, is really not very clear on this point). Anyway, Ghidorah is now all set to lay waste to earthly civilisation as well – or at least that part of it not already flattened by some playful tussling between Godzilla and Rodan which is already in progress. Toho’s shared world of monster movies had got under way earlier the same year with Mothra Vs Godzilla, but in many ways this is the film that established the template for the Japanese monster movie as it is generally known today: freewheeling monster wrestling action in the background, a rather preposterous B-movie plot going on in the foreground, some bonkers sci-fi and fantasy ideas incorporated into the plot, marginal turns from the human cast, and so on. To be honest, Ghidorah, the Three-Headed Monster deviates from this last point a little, as Malmess’ gang of hired killers give notably terrible performances even by the standards of a Godzilla movie. Possibly making up for this is the presence of a genuinely great movie actor, in the form of Takashi Shimura, whose celluloid immortality was assured by his appearances as Kambei in Seven Samurai and the central character in Ikiru. This is technically Shimura’s fourth appearance in the Godzilla series, having played one character in the first two films and a different one in Mothra – here he is someone else again, playing a brain specialist who wanders about with the heroes through the second half of the film. It’s hardly demanding for a performer of his calibre but he seems to be enjoying himself. The film is probably more notable for the way it handles its monster characters, anyway. 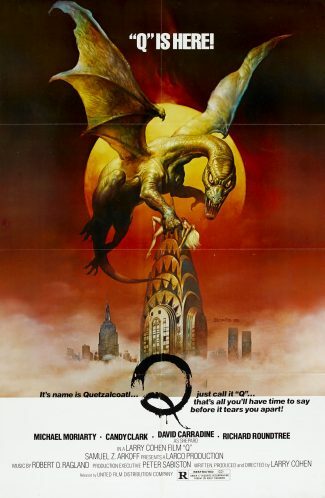 The big innovation, obviously, is the creation of Ghidorah, who would go on to appear in a pile of other movies and could make a decent claim to be Godzilla’s greatest enemy (Mothra’s too, come to that). I have to confess that – and here we go down the rabbit hole – I’ve always found Ghidorah to be a rather two-dimensional character, certainly compared to other monsters like Mothra and Mechagodzilla. It’s a striking design but the concept of the character – evil space dragon! – isn’t as engaging as many of the other Toho kaiju. The other, less obvious innovation comes in the way that the film genuinely does start to treat its monster characters as characters. 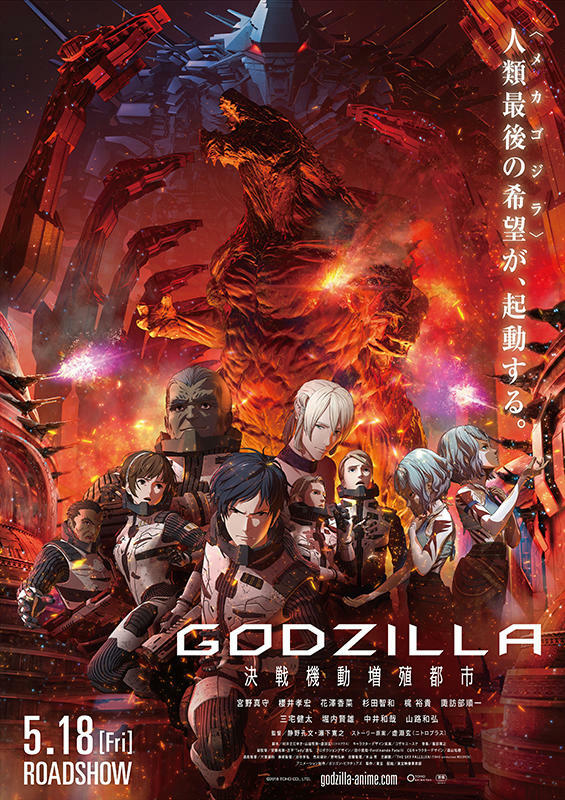 The original movie treats Godzilla as an implacable force of nature, not something with a personality that could potentially be reasoned with; here there is a scene in which Mothra, Godzilla and Rodan have an actual conversation (sadly, we only hear the Shobijin’s translation of it, but apparently Godzilla has a bit of a foul mouth) – it’s a relatively short step from here to the scene in Godzilla Vs Gigan with Godzilla and Anguirus talking to each other by speech bubbles. 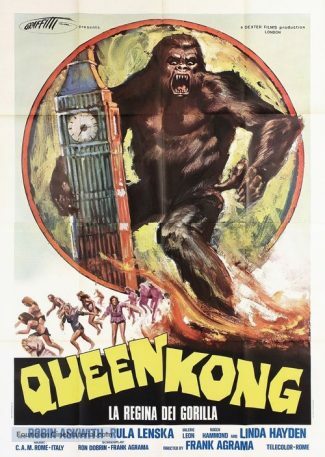 Perhaps this also explains why the film also displays the signs of the jokey tone first introduced in King Kong Vs Godzilla, which would become more and more prevalent as the series went on. For the most part, though, this is a film which takes itself just seriously enough to be fun, without feeling ridiculous, with plenty of incidental pleasures to go with the grandiose kitsch of the monster battles. 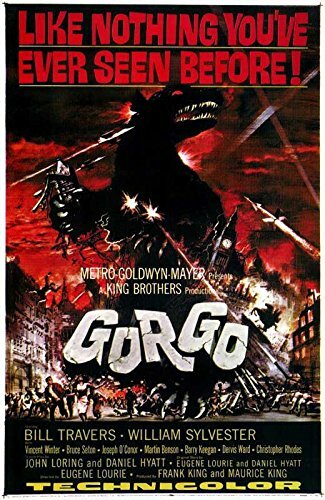 If you were going to show a kaiju movie to Hollywood in the hope they would really understand the attraction of the genre, then this might very well be the one. 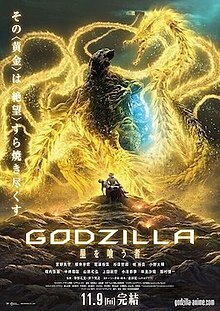 Always assuming someone hasn’t already done so – Godzilla, Mothra, Rodan and Ghidorah have been working for a big American studio recently, after all, and the trailer for their new movie is already running in theatres. We can only hope it is quite as charmingly entertaining as their first film together.